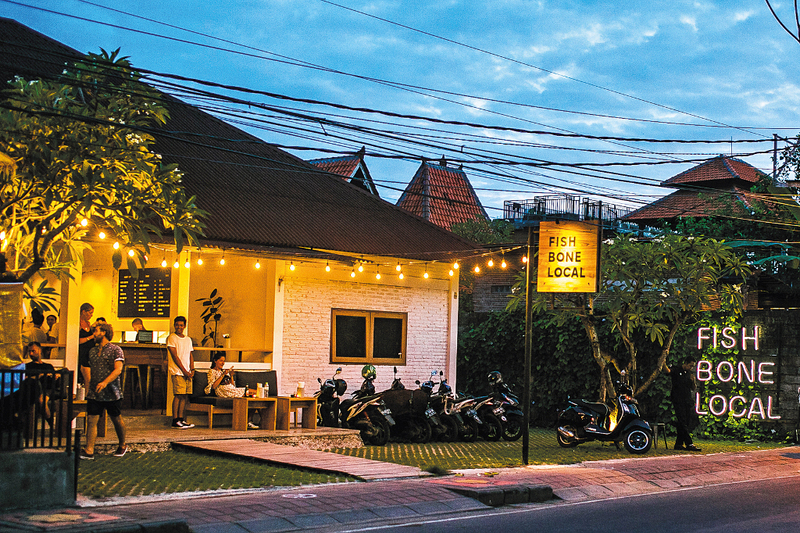 Sidemen in East Bali is an area untouched by mainstream tourism. It is characterised by the gorgeous valleys that surround the island’s living heritage, culture, nature and spiritual life. Until now, there has not been a dining destination in the area that provides a delicious escape, away from the crowded South Bali. Sleeping Gajah Kitchen & Lounge is ensconced within the stylish boutique resort of Wapa di Ume Sidemen. Featuring bamboo structures that overlook the breathtaking hillside views with the sound of a running river as its background, the restaurant offers a wide range of local and international foods throughout the day, including excellent breakfasts, healthy juices, cocktails and wines. Local ingredients are the priority wherever possible and the local dishes are definitely worth trying for their rich and complex flavours. 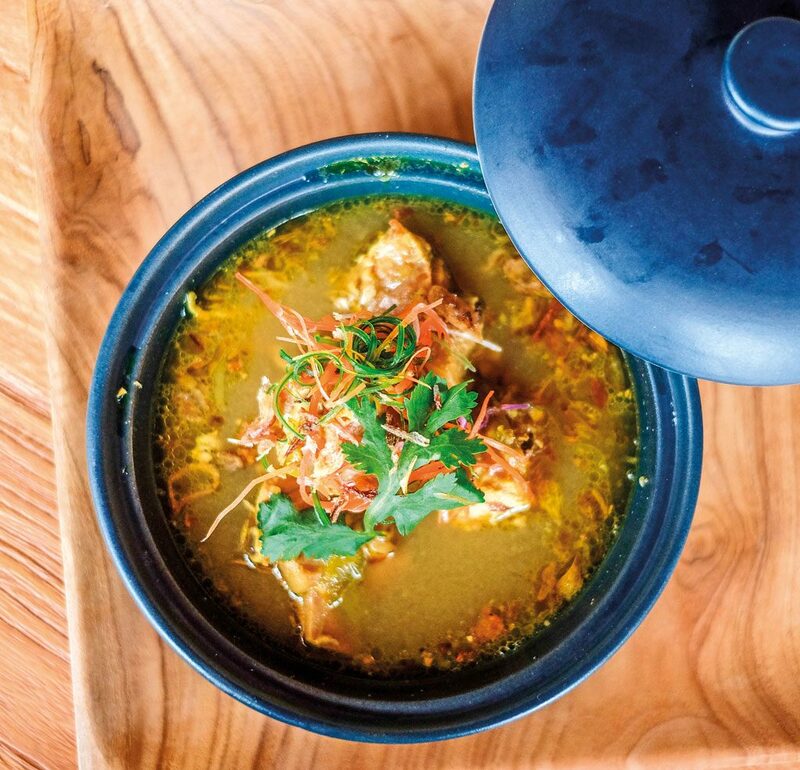 The must-try dish at the Sleeping Gajah is its signature dish Kuah Cundang Be Siap, the traditional Balinese chicken soup with complete Bali spice. 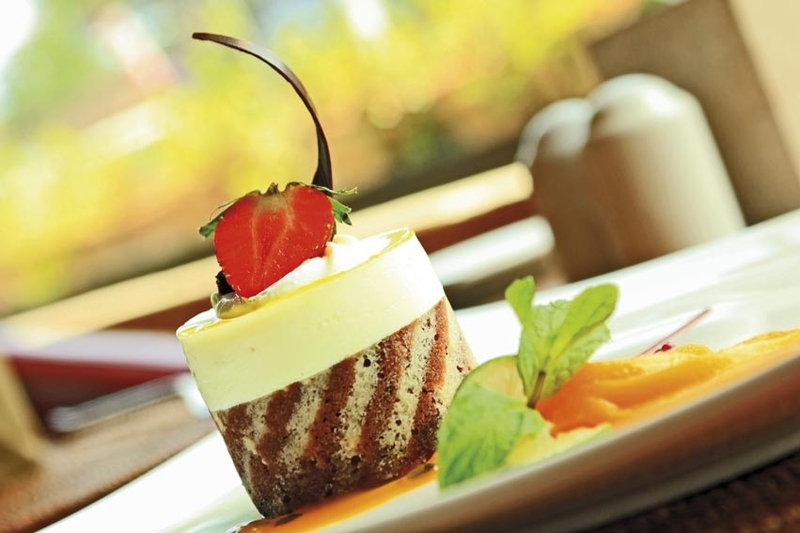 Those with a sweet tooth can indulge in the unique flavours of the restaurant’s Tape (pronounced Tapé) Cheesecake, the one and only cheesecake infused with fermented sweet cassava. To end – or indeed begin – the night, head up to Bar 57 for intoxicating Arak based cocktails (the signature liquor from the regency) as well as other delicious signatures such as EsRujakDaquiri and Sidemen Bloody Mary.